Isaac ‘The Royal Storm’ Dogboe has intensified his preparation ahead of his WBO super bantamweight title fight against Jesus Gabriel ‘Jessie’ Magdaleno at the Liacouras Center in Philadelphia on April 28, 2018. Isaac Dogboe who traces his boxing root from Kennington Park has vowed to take down the tricky and undefeated Magdaleno in his own yard. “Jesse Magdaleno, I’m coming for you baby! I am coming for you,” The Royal Storm said right after recording a fifth round knockout victory over Cesar Juarez at the Bukom Boxing Arena in Accra on January 06. In his latest video, Isaac Dogboe screamed above his voice after a little shadow boxing moves, telling Jessie Magdaleno to be ready for war. 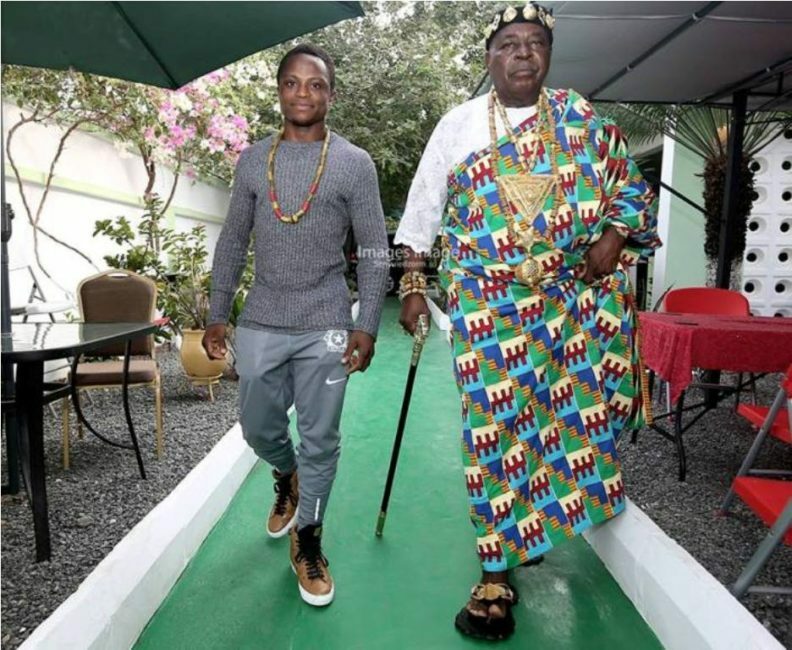 Dogboe [18-0, 12 KO’s] has been in camp with his trainer and father, Paul Dogboe for the past two months preparing assiduously for the deadly southpaw from Las Vegas. Magdaleno [25-0, 18 KO’s] who last appeared in the ring in April 2017, dispatching off Adeilson Dos Santos with an easy second round knockout claims he’s going out to entertain the crowd on April 28. “I feel like this going to be a very exciting fight,” Magdaleno said. “All the fans are going to see a great fight from Jessie Magdaleno. I’m going to do things the fans have never seen from me. “I have a great undefeated opponent in front of me. Someone’s ‘0’ has got to go, but mine isn’t going anywhere,” Magdaleno said. The fight under Top Rank Promotions will be aired live on ESPN . Teofimo Lopez talks about Loma, his wild celebrations and emulating Mayweather Jr.